After ten years in K-Land, I’m returning home to Canada to begin life there. And yes, it’s going to be hard. But no, I will most certainly not be back to Korea. For those that follow this blog, you’ll know that I’m totally and completely burnt out on the teaching and also totally and completely burnt out on living in Korea. My friends these days are mentioning that my posts lately have been pretty dark and they’re totally right. 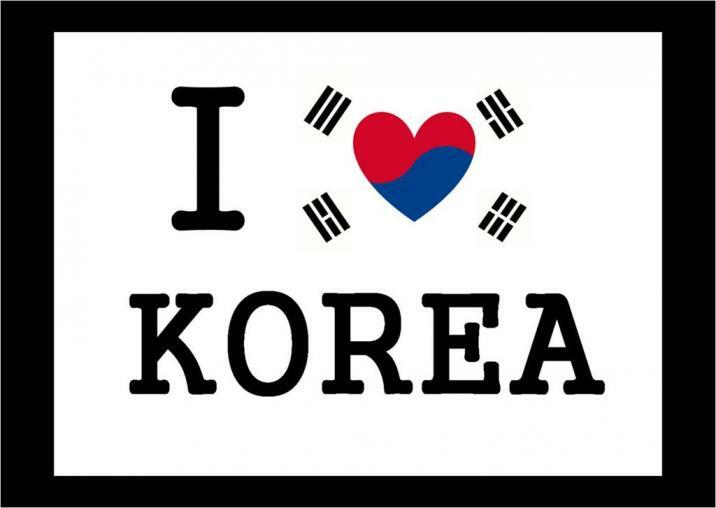 But, there are certainly a lot of things that I love about living and teaching in South Korea, and I don’t want to portray teaching in Korea as a grim, dark affair. It most certainly isn’t. Anyway, tomorrow I’ll get back to normal operations with 10 things I hate about living and teaching in South Korea, but for now it’s the good stuff. Although the average Korean generally thinks of foreign English teachers as “babos,” or white, English speaking clown entertainers, they do have a decent amount of respect for teachers. So, a bit of column A with a bit of column B means that my students mostly respect me and we have a good professional relationship. At worst, my students talk to their friend when I’m talking, use Facebook during class, sleep, or don’t do their homework. Compare this to the worst of America or Canada and I’m sure Korea comes out on top of that one. At best, my students bring me random gifts, buy me a cake on my birthday, celebrate teacher’s day with me, go out for dinner and a few drinks, comment on my new shirt or haircut, and really seem to like me. I feel the same way about them. They’re mostly hardworking, sincere students who want to improve their English skills and are usually game for doing all sorts of random activities that I throw at them in my class that sometimes involves them getting outside of what they’re totally comfortable with. Teaching in South Korea = Mostly painless. There’s this thread over on ESL Cafe where people are doubting whether or not I actually get five months vacation. It’s no lie. It really is five months of paid vacation. Sure, the pay is not awesome at about $3000 a month, but hey, $3000 a month for doing nothing? Sign me up for that ESL teaching awesome. Cha-Ching. I’ve used those vacation times to travel the world, learn how to surf, write a book or two or ten, teach myself how to build websites, etc. I know that this is not the case in Seoul, but almost anywhere outside of there, you can get a pretty sweet apartment for far less than in a big Canadian or American city. At my previous university, I had a beautiful apartment overlooking a lake, mountains and vegetable garden and it was free. I quite literally only paid for gas. My current apartment is one that I found myself, but it’s about $600 a month (with a $10,000 deposit) and for that, I have a 3-bedroom place overlooking the river. I did AirBnb for a few months and also had a roommate for a few months so it’s ended up being even cheaper. I have a feeling that once I’m in Canada, this apartment is going to be one of the things that I miss the most. Parents supporting children well into their 30’s at the expense of their own retirement savings. People spending every single weekend going to a wedding of some random so-and-so that they don’t even know. Staying at work until 10pm every single night because your boss stays until 9:50. Drinking way more than you want to because your “senior” forced you to. Children living at home with their parents into their 30’s, even when they have a full-time job because their parents “won’t let them” move out. The point of this is that foreigners in Korea have very few social obligations and you’re mostly free to do whatever you want. Even foreigners who are married to Koreans seem to escape the worst of it. Koreans are extremely forgiving of foreigners who don’t follow the unwritten rules because after all, how could we possibly know any better (stupid foreigner!)? Where else could I possibly get a job that pays me upwards of $100/hour for mostly just having the right passport and an unrelated MA? Nowhere. That’s where. Check out this post for how I turned my decade in Korea into enough money that I’m kind of set-up, for the next decade or two. Teaching in South Korea = Potentially lucrative. One of my favourite things about Korea is that everything happens fast. See that entire apartment complex starting up down the street? Don’t blink. It’ll be done next month. This filters down to everything else. This summer, I had a couple of things break in my house. A quick phone call and someone was at my house ten minutes later fixing it. Want some fried chicken delivered? One phone call and it’ll be at your house in 15 minutes. Internet set-up? They’ll be there that afternoon. Order something online? It’ll be there the next day, even from Seoul to Busan. If you love eating, drinking, and going out, then Korea is a utopian paradise. Koreans love big nights out on the town and they certainly do it right. If you want to have fun, you’d better come to Korea. Foreigners in Korea are a generally great group of people as well. I’ve made some amazing friends in both places I lived (Cheonan and Busan) and have so many happy memories of good times. I think it’s mostly that people aren’t really that busy at work, and that we all have a lot of disposable income. This equals someone always wanting to go out and do something awesome with you. Teaching in South Korea = The most fun you’ll have in your entire life. I basically have no boss. Well, I do actually but I only see him when we have work parties. As long as you show up for class each day and do all the paperwork, nobody really cares what you do beyond that. Of course I’m a professional and most certainly do a whole lot more than just show up. But, if you’re the type who is ridiculously lazy, consider Korea. You can do the bare minimum and not lose your job. Trust me, I’ve seen numerous totally and completely incompetent teachers over the years and they’re still hanging on. Anyway, the moral of this story is that working at a university in Korea is the least stressful job I could possibly ever have. And for that, I’m thankful. Most days, it’s even kind of fun. I’m totally and completely addicted to Korean food. Cold spicy noodles in red sauce. Cold noodles in bizarre ground sesame seeds. Noodles in Vinegar broth. Noodles with vegetables. Korean BBQ. Bulgogi. Pajeon on the mountain. Side dish fiesta with soup and rice. Kimchi Chigae. Dwejang Chigae. Soft Tofu Chigae. Fried chicken. Hot pot with spring rolls. Spicy chicken red sauce deliciousness. Andong chicken. Pork spine stew. Cabbage kimchi. Cucumber kimchi. I want to put it all in my mouth right now. It’s so delicious. Writing this makes me feel already sad about the lack of cheap Korean food deliciousness in Canada. The final thing that I love about Korea is Busan. I lived in Cheonan for 7 years, and I’m not going to lie to you: It’s kind of a &*%#-hole. No mountains, ocean or river. It’s pretty depressing, although it does have proximity to Seoul going for it. I only stayed that long because I had a sweet, sweet job and lots of good friends. Summertime social activity only involves figuring out which beach all your friends are going to that day. Then, you’ll see a ton more people you know. And a couple of beers and card games at the beach will turn into dinner, which will turn into more drinks and singing at the Norae-bang. There are a million awesome road trips in the area: Boseong Tea Fields, Jirisan National Park, Geoje Island, Namhae. All amazing, beautiful places and within a 1/2 day drive at most. So, let’s sum this up. I mostly loved my time teaching in South Korea and I have very few regrets about spending a decade of my life here. The only thing I really regret is staying this past year when I wasn’t loving Korea or my job, like I previously did. If you want some tips on how to make your life in South Korea as awesome as possible, then you’ll need to check out this book: How to Thrive in South Korea-97 Tips from Expats. I enlisted the help of lots of friends to share their #1 tip for getting beyond just surviving your time in South Korea. Then, I shared a bunch of my own as well. If you’re new to Korea, or considering coming here, it’s the book for you! What are the pros and cons of living and working in South Korea? Leave a comment below and let us know what you think. Korean University Job: Ridiculous Amounts of Documents to Apply! It seems like you were lucky enough to get a good job. Did you work in a public school? I’ve been working in universities for the past 8 years or so. I wouldn’t call it “luck” though. More well-qualified and experienced, along with some serious networking skills?